Diageo plc (DEO) produces, distills, brews, bottles, packages, and distributes spirits, beer, wine, and ready to drink beverages. This international dividend company has increased dividends for 18 years in a row. The company’s latest dividend increase was announced in January 2016 when the Board of Directors approved an 5.10% increase in the interim dividend to 22.60 pence /share. The company’s peer group includes Brown-Forman (BF.B), Beam (BEAM), and Constellation Brands (STZ). Over the past decade this dividend growth stock has delivered an annualized total return of 7.70% to its US ADR shareholders. The company has managed to deliver an 7.60% average increase in annual EPS in British Pounds since 2006. Diageo is expected to earn 88.71p per share in 2016 and 95.74p per share in 2017. 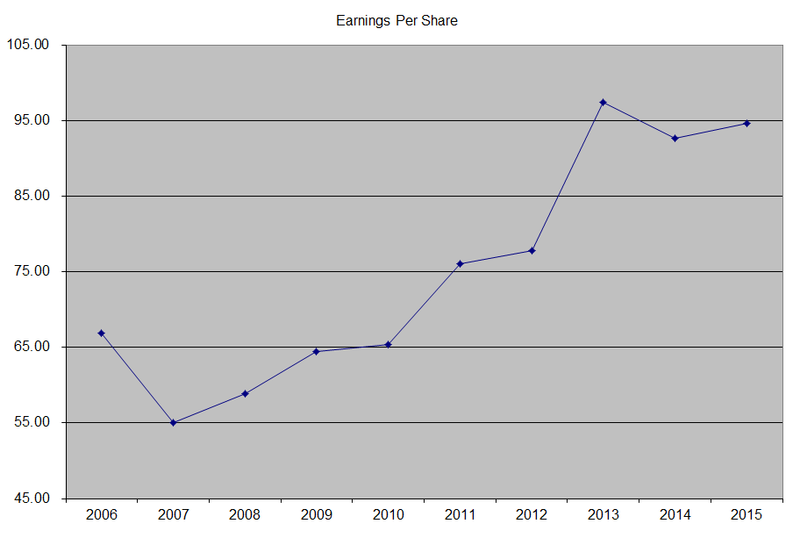 In comparison, the company earned the equivalent of 94.60p/share in 2015. Each American Depository Receipt (ADR) that you can purchase on the NYSE is equivalent to four shares that are traded on the London Stock Exchange. If we convert the numbers to US Dollars using the exchange rate on 06/17/2016, we have expected earnings of $5.10 for 2016 and $5.50/share in 2017. The earnings for 2015 are equivalent to $5.94/share, using the exchange rate on June 30, 2015. The British Pound has depreciated by 9.40% since June 30, 2015. Using today’s rate, those same earnings are worth $5.43. Between 2006 and 2016, the number of shares decreased from 2.85 billion to 2.52 billion. Diageo owns a portfolio of strong brands, with wide consumer appeal, which are usually number one or two in their respective categories. A few include Smirnoff, Johnnie Walker, Guinness, Baileys, and Captain Morgan. The company also has a wide distribution network on a global scale, which might be difficult for a competitor to replicate. Diageo is the largest spirits company in the world, which provides it with the advantage of scale, relative to its competitors. Future growth could be driven by organic growth of its premium brands as well as through strategic acquisitions. The company has also focused on its core competencies, by disposing of Pillsbury and Burger King in the early 2000s. North America accounts for one third of sales but over 45% of operating profits. Emerging markets in Asia, Africa and Latin America account for 43% of sales by 29% of operating profits. Europe accounts for 24% of sales and 25% of operating profits. Continued investments in strategic emerging markets could translate into higher sales in the future, particularly as the number of middle class consumers who will be able to afford premium drinks rises significantly. The annual dividend payment has increased by 6.70% per year over the past decade, which is lower than the growth in EPS. A 6% growth in distributions translates into the dividend payment doubling every twelve years on average. The expected dividends in 2016 are roughly double the dividends paid in 2005. Dividends on the ordinary shares are normally paid twice a year: an interim dividend in April and a final dividend in October. The approximate split between the two payments is 40:60. 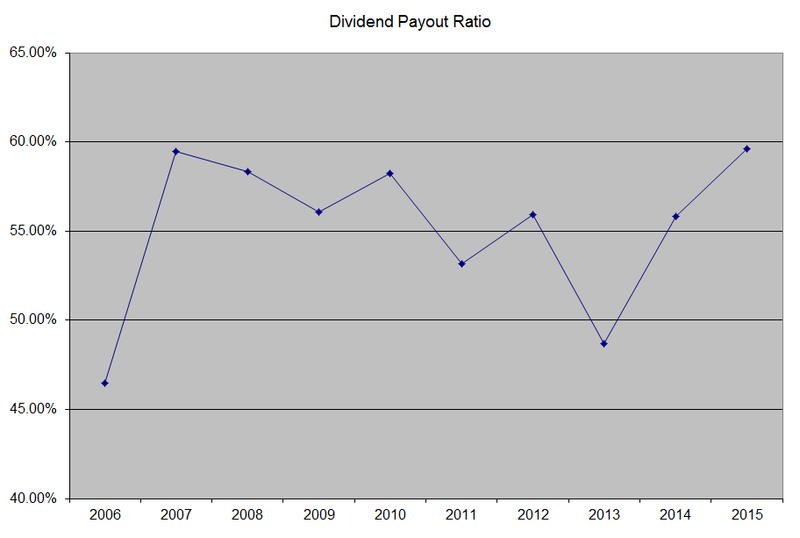 The dividend payout ratio has increased from 46.50% in 2006 to 59.60% in 2015. A lower payout is always a plus, since it leaves room for consistent dividend growth minimizing the impact of short-term fluctuations in earnings. The company has really high return on equity, which is common for most high quality dividend payers that do not require a lot of equity to operate the business. Rather than focus on absolute values for this indicator, I generally want to see at least a stable return on equity over time. 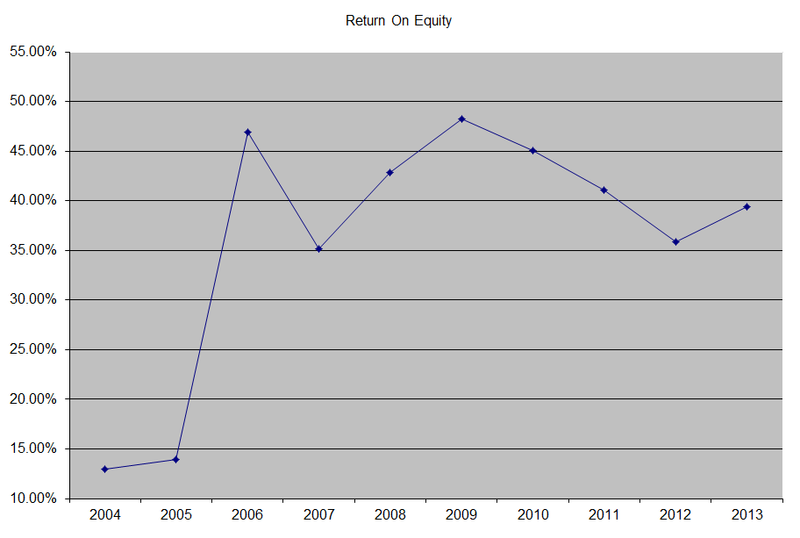 Currently, the stock is fairly valued, as it trades at a forward P/E of roughly 20 and yields 3.30%. I am analyzing the company because I believe it is quality dividend growth stock, which is very good addition to my portfolio when it is below a P/E of 20 and at a current yield above 3%. I currently find Diageo to be a much better value than Brown-Forman (BF.B), at 27 times forward earnings and yield of 1.60%. I recently nibbled on some Diageo shares, and would consider adding a little more if the Brexit situation gets out of hand.